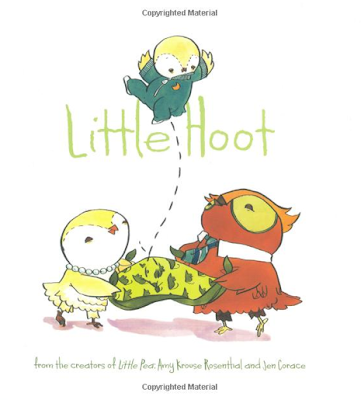 Tangled and True: little hoot. We received this book as a gift for baby Finn. It has been a fun addition to our library. The girls want me to read it over and over again. They think it is hysterical that all the baby owl wants to do is go to bed.. they can't believe it and claim they would love to stay up all night. I love book and think my son would love this one. Thanks for the recommendation!